Merck & Co has joined the race to develop a vaccine for the Ebola virus after agreeing a deal to develop NewLink Genetics' investigational candidate. Merck will gain exclusive rights to rVSV-EBOV, a vaccine candidate originally developed by the Public Health Agency of Canada (PHAC) that is currently in phase I clinical trials to prevent the Ebola virus and is set to enter a large phase III study in the New Year. The PHAC retains non-commercial rights to the vaccine. The vaccine is based on a strain of vesicular stomatitis virus that has been modified to express an Ebola virus protein. It is currently being investigated in a limited number of patients at the Walter Reed Army Institute of Research in the US and the National Institute of Allergy and Infectious Diseases (NIAID) at the US National Institutes of Health (NIH). 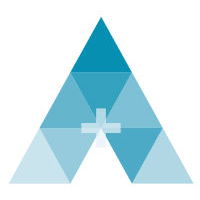 Additional phase I studies are planned to take place in Switzerland, Germany, Kenya, and Gabon in a global effort coordinated by the World Health Organization (WHO) while the Canadian Immunization Research Network will lead trials in Canada. The current Ebola epidemic in West Africa has so far claimed the lives of more than 5,000 people in Guinea, Liberia and Sierra Leone and has led to a global effort from public and private healthcare organisations to fight the disease. The fight is made tougher by the lack of approved treatments or vaccines for the Ebola virus and the WHO has backed the use of untested drugs, such as Mapp Pharmacueticals' ZMapp which has had some degree of success in the limited number people it has been used in, while the European Medicines Agency (EMA) has encouraged companies to apply for orphan drug status to speed up research. For larger pharma companies the main interest has been in developing a vaccine to prevent the disease and several companies have fast-tracked research programmes. This includes GlaxoSmithKline (GSK), which is researching ChAd3-EBOV with support from the European Commission. Johnson & Johnson (J&J) is also fast-tracking an Ebola programme and has said it intends to produce more than one million doses of an Ebola vaccine in 2015. 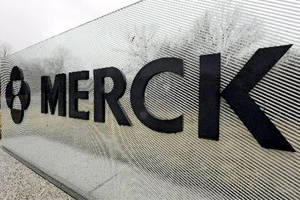 Merck now joins these two companies and – like GSK – is set to work with the US NIH on a phase III study in early 2015 to evaluate the safety and efficacy of each company's respective vaccine. J&J is also working with the NIH but as part of a separate programme.